The MAD doctrine assumes that each side has enough nuclear weaponry to destroy the other side and that either side, if attacked for any reason by the other, would retaliate without fail with equal or greater force. The expected result is an immediate, irreversible escalation of hostilities resulting in both combatants' mutual, total, and assured destruction. The doctrine requires that neither side construct shelters on a massive scale, such as there are in Switzerland. If one side constructed a similar system of shelters, it would violate the MAD doctrine and destabilize the situation, because it would not have to fear the consequences of a second strike. The same principle is invoked against missile defense. This MAD scenario is often referred to as nuclear deterrence. The term "deterrence" was first used in this context after World War II; prior to that time, its use was limited to legal terminology. One of the earliest references to the concept comes from the English author Wilkie Collins, writing at the time of the Franco-Prussian War in 1870: "I begin to believe in only one civilizing influence—the discovery one of these days of a destructive agent so terrible that War shall mean annihilation and men's fears will force them to keep the peace". The strategy of Mutually Assured Destruction and the acronym MAD are due to John von Neumann (1903–1957) and his taste for humorous acronyms, another example being his MANIAC computer. He was, among other things, an inventor of game theory, a cold war strategist, and chairman of the Intercontinental ballistic missile Committee until his death in 1957. The RAND corporation futurist and cold war strategist Herman Kahn (1922–1982) believed that although MAD was useful as a metaphor, when pushed to its logical conclusion it became absurd. 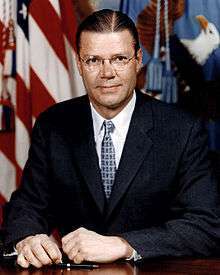 In his 1960 book On Thermonuclear War he advocated a more reasoned approach to nuclear warfare and was misunderstood by some of his critics to be a nuclear war hawk in his writings. (He did however hold a profound belief in the possibility of success in the event of a nuclear war.) He invented the concept of the Doomsday Machine as an "idealized (almost caricaturized) device" to illustrate the danger of taking MAD to its extreme. He writes, "I used to be wary of discussing the concept for fear that some colonel would get out a General Operating Requirement or Development Planning Objective for the device". 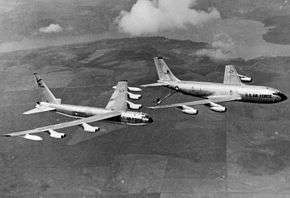 During periods of increased tension in the early 1960s, SAC kept part of its B-52 fleet airborne at all times, to allow an extremely fast retaliatory strike against the Soviet Union in the event of a surprise attack on the United States. This program continued until 1990 when the bomber wings were placed on quick reaction ground alert and were able to take off within a few minutes. SAC also maintained the National Emergency Airborne Command Post (NEACP, pronounced "kneecap"), also known as "Looking Glass," which consisted of several EC-135s, one of which was airborne at all times from 1961 through 1990. During the Cuban missile crisis the bombers were dispersed to several different airfields, and also were sometimes airborne. For example, some were sent to Wright Patterson, which normally didn't have B-52s. The U.S. Department of Defense anticipates a continued need for a sea-based strategic nuclear force. The first of the current Ohio-class SSBNs are expected to be retired by 2029, meaning that a platform must already be seaworthy by that time. A replacement may cost over $4 billion per unit compared to the USS Ohio's $2 billion. The U.S. Navy is exploring two options. The first is a variant of the Virginia-class nuclear attack submarines. The second is a dedicated SSBN, either with a new hull or based on an overhaul of the current Ohio. 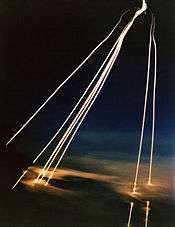 The multiple independently targetable re-entry vehicle (MIRV) was another weapons system designed specifically to aid with the MAD nuclear deterrence doctrine. With a MIRV payload, one ICBM could hold many separate warheads. MIRVs were first created by the United States in order to counterbalance Soviet anti-ballistic missile systems around Moscow. Since each defensive missile could be counted on to destroy only one offensive missile, making each offensive missile have, for example, three warheads (as with early MIRV systems) meant that three times as many defensive missiles were needed for each offensive missile. This made defending against missile attacks more costly and difficult. One of the largest U.S. MIRVed missiles, the LGM-118A Peacekeeper, could hold up to 10 warheads, each with a yield of around 300 kilotons of TNT (1.3 PJ)—all together, an explosive payload equivalent to 230 Hiroshima-type bombs. The multiple warheads made defense untenable with the available technology, leaving the threat of retaliatory attack as the only viable defensive option. MIRVed land-based ICBMs tend to put a premium on striking first. The START II agreement was proposed to ban this type of weapon, but never entered into force. Proponents of ballistic missile defense (BMD) argue that MAD is exceptionally dangerous in that it essentially offers a single course of action in the event of nuclear attack: full retaliatory response. The fact that nuclear proliferation has led to an increase in the number of nations in the "nuclear club", including nations of questionable stability (e.g. 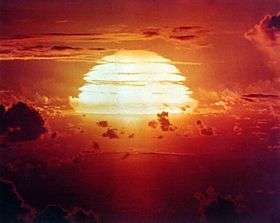 Pakistan and North Korea), and that a nuclear nation might be hijacked by a despot or other person or persons who might use nuclear weapons without a sane regard for the consequences, presents a strong case for proponents of BMD who seek a policy which both protects against attack, but also does not require an escalation into what might become global nuclear war. Russia continues to have a strong public distaste for Western BMD initiatives, presumably because proprietary operative BMD systems could exceed their technical and financial resources and therefore degrade their larger military standing and sense of security in a post-MAD environment. Russian refusal to accept invitations to participate in NATO BMD may be indicative of the lack of an alternative to MAD in current Russian war fighting strategy due to dilapidation of conventional forces after the breakup of the Soviet Union. "Nuclear use would be catastrophic." ↑ Mutual Assured Destruction; Col. Alan J. Parrington, USAF, Mutually Assured Destruction Revisited, Strategic Doctrine in Question, Airpower Journal, Winter 1997. ↑ Freeman Dyson, Disturbing the Universe, Chapter 13, The Ethics of Defense, Basic Books, 1981. ↑ "Wilkie Collins and Mutually Assured Destruction". The Wilkie Collins Society. Spring 2009. Retrieved 17 September 2014. ↑ Paul Wahl and Don Toppel, The Gatling Gun, Arco Publishing, 1971. ↑ "Everything You Need to Know About the First Nobel Prizes". Retrieved 2016-10-04. ↑ tr. R. C. Long, Boston, 1914, p XXXI. ↑ Tesla, Nikola, THE NEW ART OF PROJECTING CONCENTRATED NON-DISPERSIVE ENERGY THROUGH NATURAL MEDIA, System of Particle Acceleration for Use in National Defense, Circa 16 May 1935. ↑ John Barry (2009-12-12). "Do We Still Need a Nuclear 'Triad'?". Newsweek. Retrieved 2010-10-08. ↑ Office for the Deputy Assistant to the Secretary of Defense for Nuclear Matters. "Nuclear Stockpile". US Department of Defense. Retrieved 2010-10-08. ↑ "Toning Up the Nuclear Triad". Time. 1985-09-23. Retrieved 2010-10-08. ↑ Kahn, Herman. On Thermonuclear War, Transaction Publishers, 2006. p. 148. ↑ Thompson, Nicholas (21 September 2009), Inside the Apocalyptic Soviet Doomsday Machine, 17 (10), Wired Magazine . 1 2 "SSBN-X Future Follow-on Submarine". Global Security. Retrieved 2011-09-27. ↑ Frost, Peter. "Newport News contract awarded". Daily Press. Retrieved 2011-09-27. (subscription required (help)). ↑ Keir A. Lieber and Daryl G. Press "The Rise of U.S. Nuclear Primacy," Foreign Affairs, March/April 2006, pp 42-55. 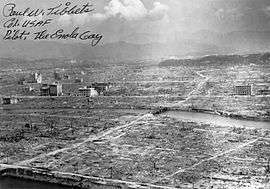 ↑ "Strategic Air Command Declassifies Nuclear Target List from 1950s". nsarchive.gwu.edu. Retrieved 2016-01-06. 1 2 Richard Pipes (1977). "Why the Soviet Union Thinks It Could Fight and Win a Nuclear War" (PDF). Reed College. Retrieved September 4, 2013. ↑ Richard Pipes (1977). "Why the Soviet Union thinks it can fight and win a Nuclear War". Commentary. Retrieved April 21, 2013. 1 2 3 Burr, William; Savranskaya, Svetlana, eds. (September 11, 2009). "Previously Classified Interviews with Former Soviet Officials Reveal U.S. Strategic Intelligence Failure Over Decades". Washington, DC. Retrieved April 21, 2013. ↑ Captain John W. Dorough, Jr. "Soviet Civil Defense U.S.S.R. preparations for industrial-base war survival.". Air University Review, March–April 1977. ↑ Leon Gouré Reviewed by John C. Campbell (1977). "War Survival in Soviet Strategy: USSR Civil Defense". Foreign Affairs magazine. ↑ Hoffenaar, Jan; Findlay, Christopher; Wenger, Andreas (series); et al., eds. (November 2007). "Military Planning for European Theatre Conflict During the Cold War: An Oral History Roundtable, Stockholm, 24-25 April 2006" (PDF). Zürcher Beiträge Zur Sicherheitspolitik. Center for Security Studies, ETH Zurich (79). Retrieved April 21, 2013. ↑ Lloyd, Marion (13 October 2002). "Soviets Close to Using A-Bomb in 1962 Crisis, Forum is Told". Boston Globe. pp. A20. Retrieved 7 August 2012. ↑ Cited in Wolfgang Panofsky, "The Mutual-Hostage Relations between America and Russia," Foreign Affairs, 52/1, (October 1973): p 118.